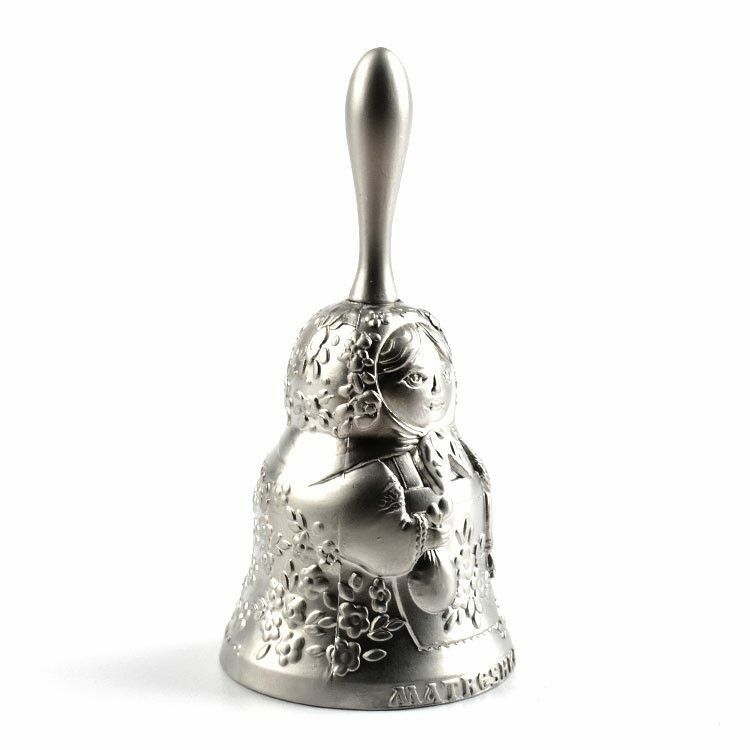 If you need a bell by your bed, this is definitely the cutest one! 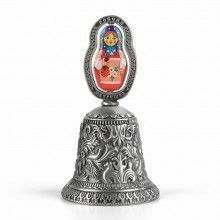 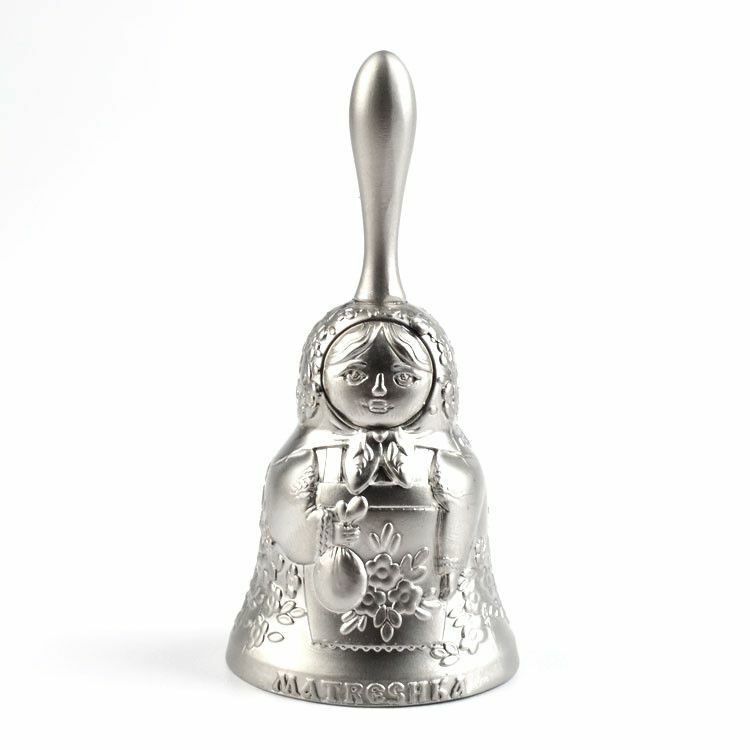 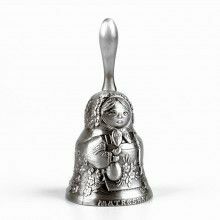 This souvenir bell matryoshka is made of a special alloy metal that allows the ringing to be strong and clear. 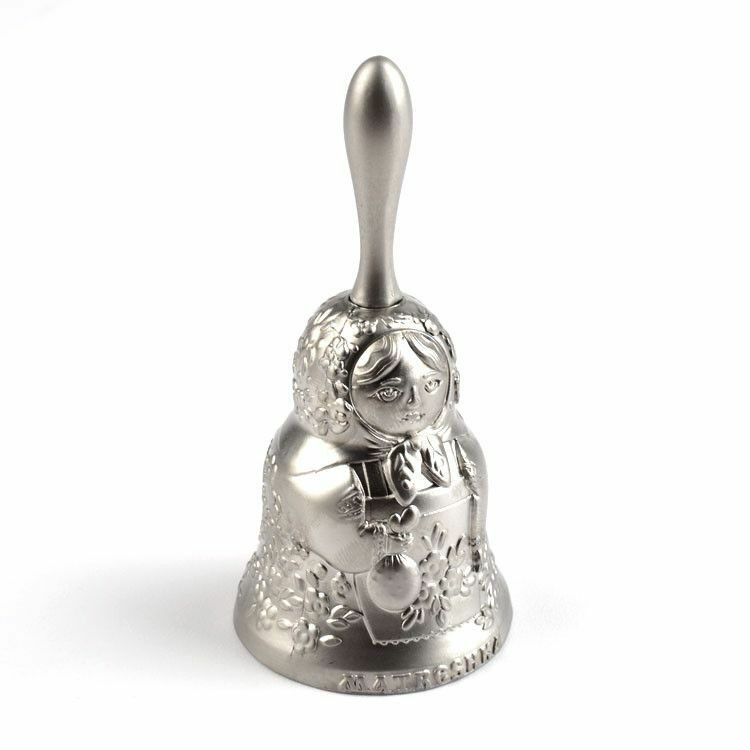 It is about 3" tall and 1 1/2" wide. 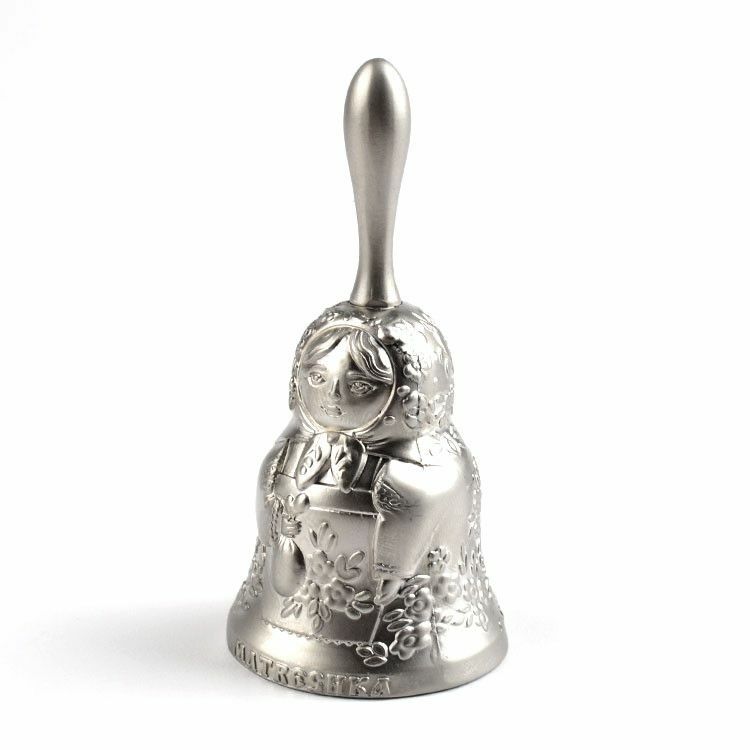 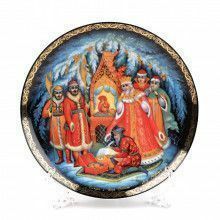 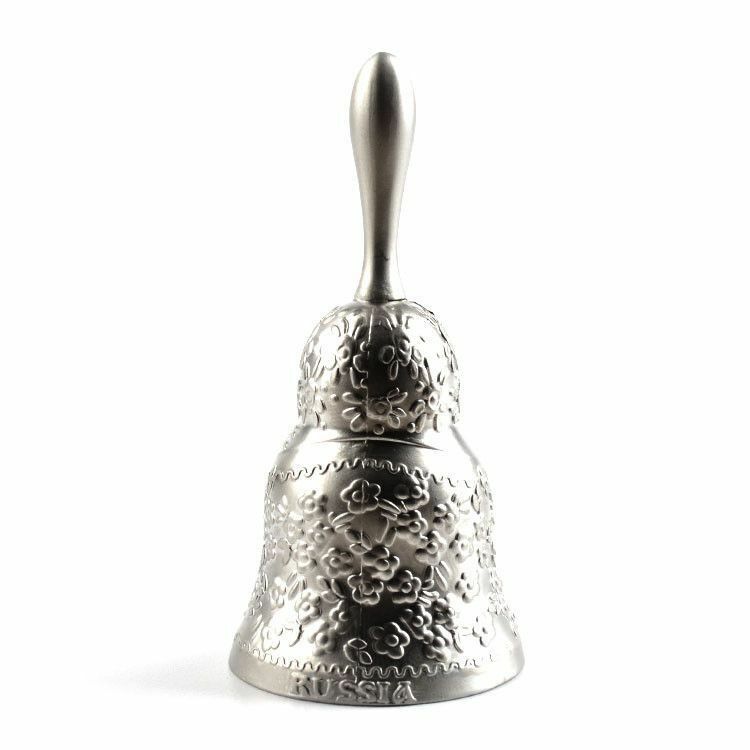 Made in Russia, this ringing bell has wonderful details and a pleasant sound.